Bullying is in the news more and more and even being displayed throughout social media. 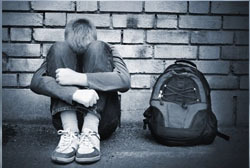 Nationwide, one in six students in grades 6 through 10 say they’re bullied several times a month; nearly one in five students report being the bully at least sometimes, according to a 2001 Olweus study. R&R Insurance is an endorsed agent for the Wisconsin Association of School Boards (WASB). We can assist school districts in Wisconsin with their anti-bullying policies to help prevent bullying and reduce your risk. Contact Bill Hattendorf for information about R&R's free anti-bullying posters for Wisconsin schools.